Ok, you must be thinking…Tofu, why? Is it good? Yes, it’s really delicious, and good for you. If you’ve ever doubted tofu, this recipe will change your mind! 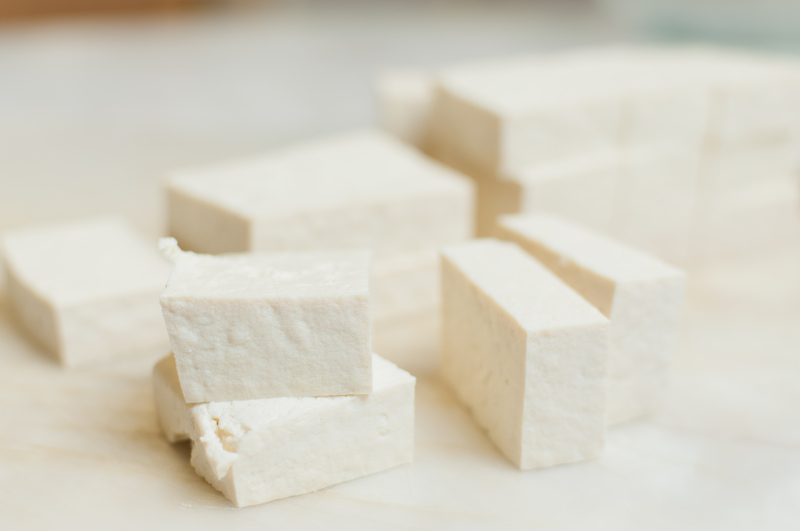 For those new to tofu, it’s a solid, healthy, soy-milk based protein also known as bean curd. When fried, it gives you the substance and bite of something similar to a meat. My husband Dane absolutely loves this recipe because it’s full of flavor and frying up the tofu makes it crispy and so yummy. Hey, I know it’s frying, but you have to reward yourself since all these ingredients are so healthy right? =) This recipe is also very flexible, if you don’t like tofu, you can substitute it for a lean meat, and you can pretty much throw in any leftover veggies you have in the fridge. Take out the whole square tofu from the package. 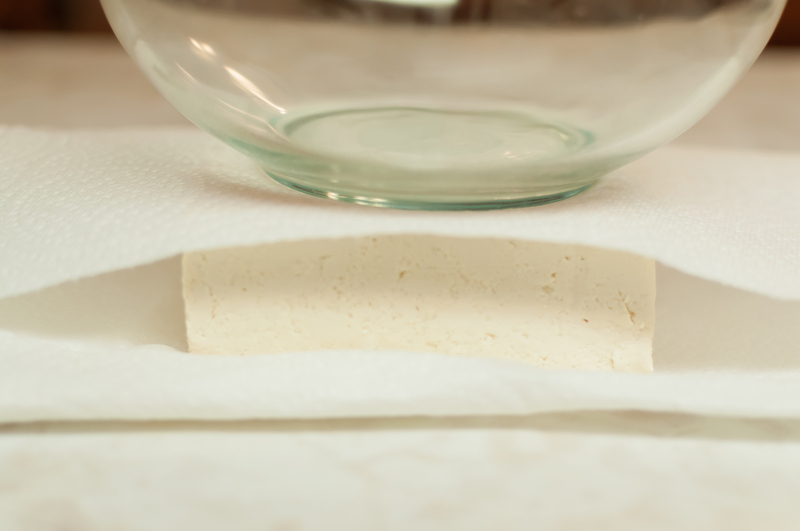 Soak up extra liquids and pat tofu dry by placing a few layers of paper towels under and above the tofu and placing a bowl on top. I usually let it soak dry for 15-20 minutes. This ensures oil from splattering too much when frying and getting the tofu crispy. Heat oil in a medium/large saute pan on medium heat. Cut tofu into bite-size piece, about 1/2″ thick. 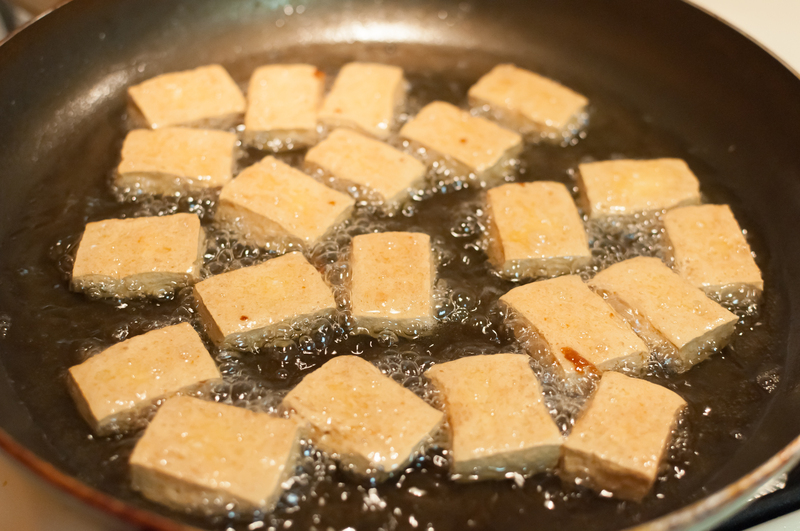 Fry tofu until golden brown and crispy on both sides, about 10-15 minutes each side. (Important: Oil may splatter, so be careful and cover pan with a splatter guard or cover slightly.) Tip: If you prefer to bake to avoid oil splattering, season tofu and spray with cooking spray. Place on a baking tray lined with foil sprayed with cooking spray, or parchment paper, or baking rack. Bake on 375 degrees for about 1 hour, until golden brown and crispy on the outside. 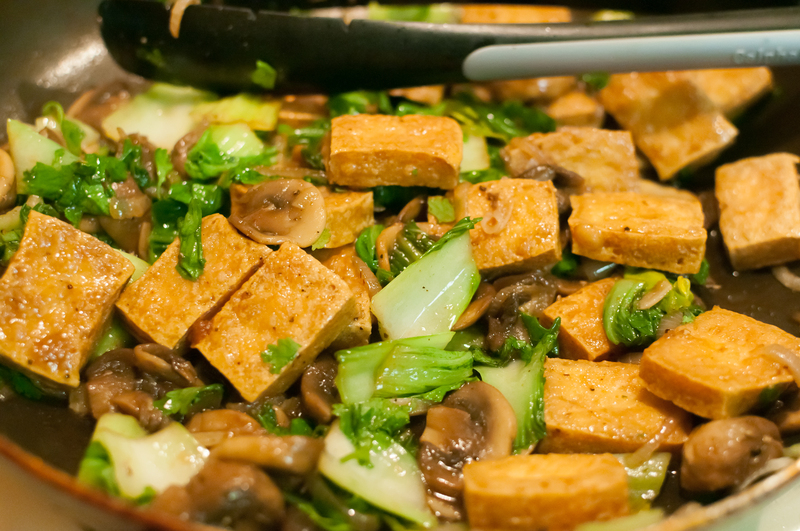 Set aside cooked tofu on a paper towel-lined dish to soak up oils. Using the same pan (Remove excess oil out of the pan. ), saute the onions for a couple of minutes. Add in the garlic, and cook both until just starts to soften and brown. 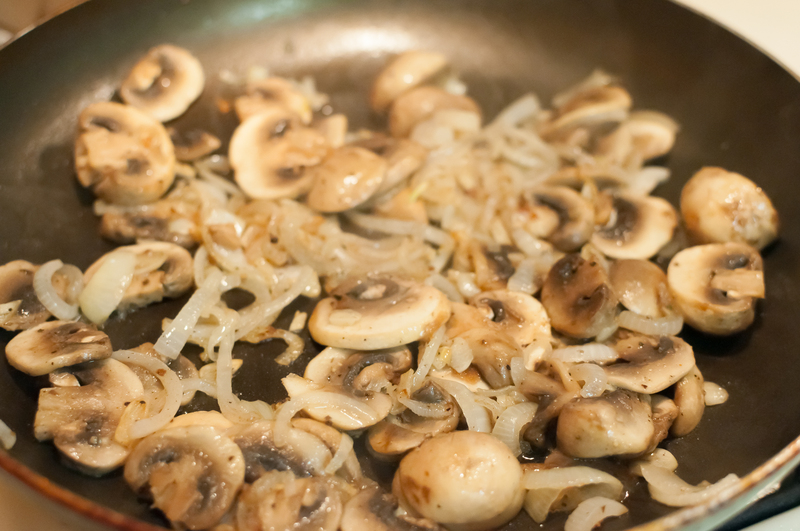 Add in the mushrooms and cook until softened, golden brown and mushrooms, onions and garlic are slightly caramelized. 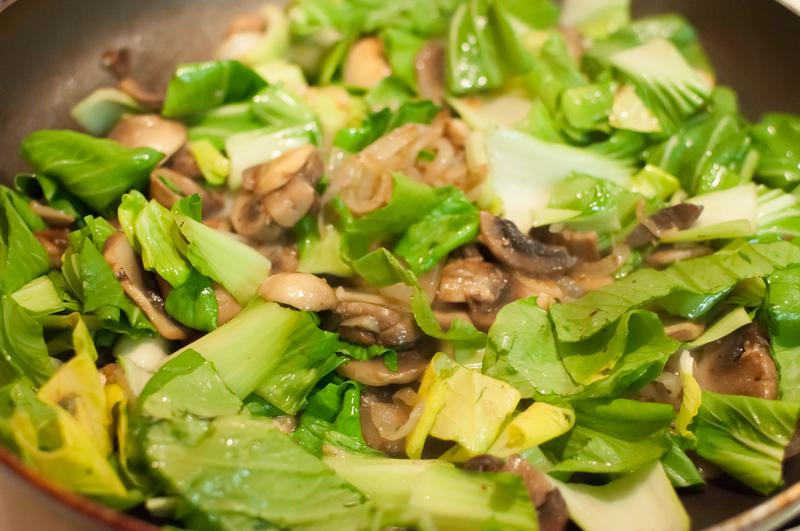 Throw in the Bok Choy and saute until bright green, and slightly softened, about 3 minutes. I like a bit of crunch so be careful not to overcook. Season with all-purpose seasoning and pepper, to taste. Turn heat to low and add back in the tofu. 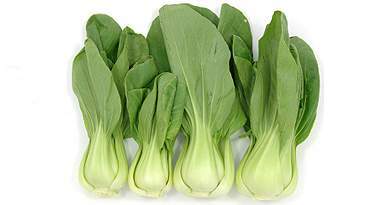 In a small dish, mix together soy sauce, rice wine vinegar, sesame oil and Sriracha. Pour the sauce and fresh cilantro in with the tofu and veggies. Toss together and mix thoroughly. You can eat as is or serve on top of brown rice. Top with more Sriracha if desired. Enjoy!